The iconic African destination, Kenya, is a land of contrast. Its dominant feature is the Great Rift Valley, the hot, arid semi-desert in the north, peopled by proud Turkana and Rendile. It carves a wide deep swathe through to the grass plains of the Mara in the south, rich in game and home of the nomadic Maasai. The highest point is snow-capped Mt Kenya (17,058ft), that stands majestic against the rolling hills. West towards Mount Elgon and its national park, are the fertile tea estates and tiny Kakamega Park, a stranded enclave of West African forest, with a myriad of butterflies and birds. 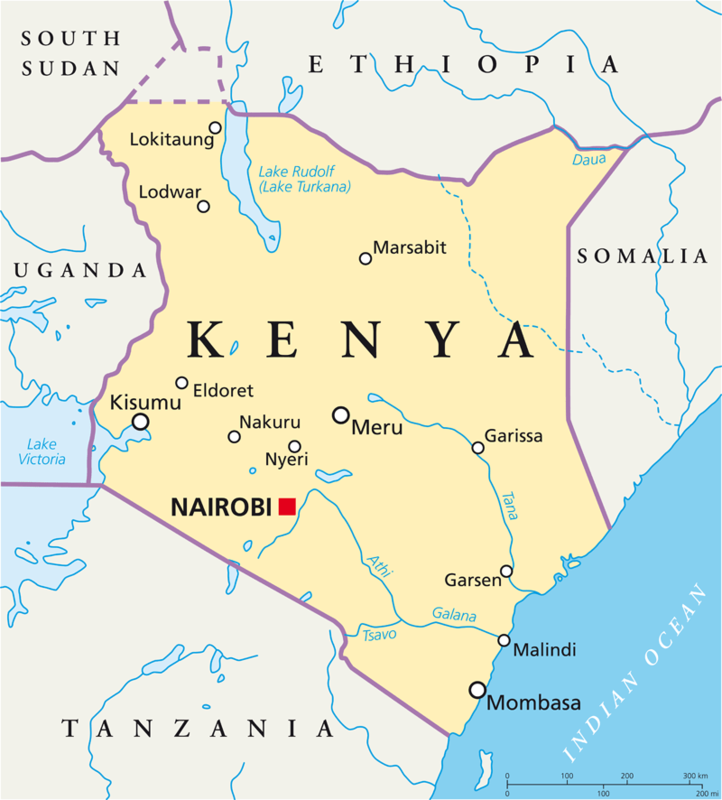 Kenya is blessed with a lovely long coastline and some beautiful islands whose coral beaches border the Indian Ocean, often with swaying palm trees and calm blue waters. Here, picturesque Arab dhows ply their trade along the 300 mile coast, as they have for a thousand years. The traditional safari originated in Kenya. Some of the finest mobile-tented safaris, organised by knowledgeable, experienced private outfitters set out from Nairobi in the style of those at the turn of the century, heading for secluded spots in the panoramic country. Or the discerning traveller may choose a safari, spending a week or two staying in private luxury lodgers, all with their own ambience, before ending on the Kenyan coast for some R&R where the beaches are superb, the food is wonderful and the welcome warm. Kenya offers so much variety in terms of environment and activities and is perfect for families and first time safari goers, but also for those who want to get out of the game vehicle and do something different. As well as the traditional game-drives, many places now offer walking, horse and camel safaris, fly camping, fishing, river swimming, tubing and hiking to name a few. There are many interesting conservation projects to visit too, everything from rhinos to turtle and lots in between, if this is something that you are interested in. It gives you a whole different perspective on wildlife and many of the lodges support such local projects. Kenya’s transport infrastructure is very well developed, so getting to and between camps is very straightforward, including a number of scheduled flights to key areas. If you want a truly luxurious experience, then a helicopter safari takes things to a whole new level. You can go flying for just a day, say to the Suguta Valley, or fly up over Mount Kenya and try a spot of trout fishing in the lakes on its foothills, the options are endless and it is surprising where you can land. You can get to places where few people access, and in a much more time efficient way.